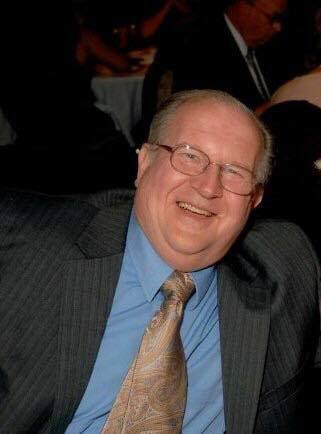 Greg Edward “Honey” Haines, 69, of Louisville, passed away unexpectedly Saturday, June 30th. Visitation will be held Thursday July 5th from 4-8pm and Friday from 10am – 12pm at Stoess Funeral Home in Crestwood, KY. A memorial service will follow at 12pm. Greg was born December 2nd, 1948, in Clairton, PA to Edward and Helen Haines. He grew up in PA and was an avid Steelers fan. Greg moved to KY in 1977. He is a West Virginia University graduate and enjoyed a long career in sales. He loved refereeing soccer, playing golf, good scotch, and dancing. But most of all, he loved being surrounded by his family and friends. Greg never met a stranger. He is survived by his wife of 28 years, Katie Haines, children Beverly (Robert) Koontz, Marc (Angie) Haines, Jeff (Erica) Haines, Scott Haines, and Erin (Patrick) Moore, 9 grandchildren, and 1 great-grandchild. In lieu of flowers, donations in Greg’s honor to the American Diabetes Association or the Foundation for Peripheral Neuropathy would be appreciated.